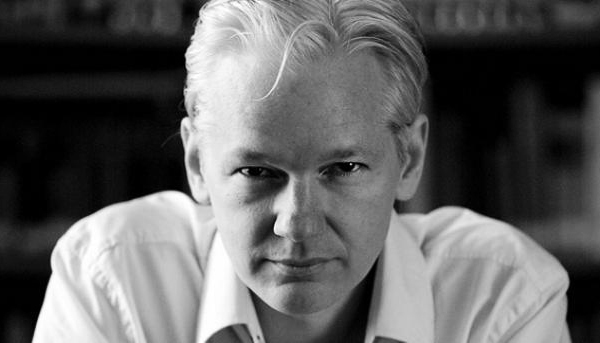 Sydney Peace Medal acknowledges Assange’s courage and determination to increase the capacity of citizens all over the world to engage with democratic principles, emphasizing that truth is integral in any quest for justice. The award of the Sydney Peace Medal will be made by the highly respected veteran Australian broadcaster, member of the Australian Human Rights committee of inquiry, and former Chair of the Sydney Peace Foundation, Mary Kostakidis. The Sydney Peace Foundation is supported by the City of Sydney. In May, together with the Centre for Peace and Conflict Studies, we hosted Professor Bisharat, a lawyer with degrees in anthropology and Middle East studies, who is a professor at.Hastings College of the Law at the University of California. Professor Bisharat spoke to a crowded seminar about the growing international movement in support of boycotts, divestment, and sanctions (BDS) that seeks to compel Israel to comply with international law. He argued that BDS represents a non-violent, morally defensible, and effective strategy for positive change. He dealt with ethical questions surrounding the academic and cultural aspects of the boycott movement. Also on the Middle East issue Foundation members joined a candle lit event organised by the Friends of Hebron and held in the inner Sydney suburb of Leichhardt. 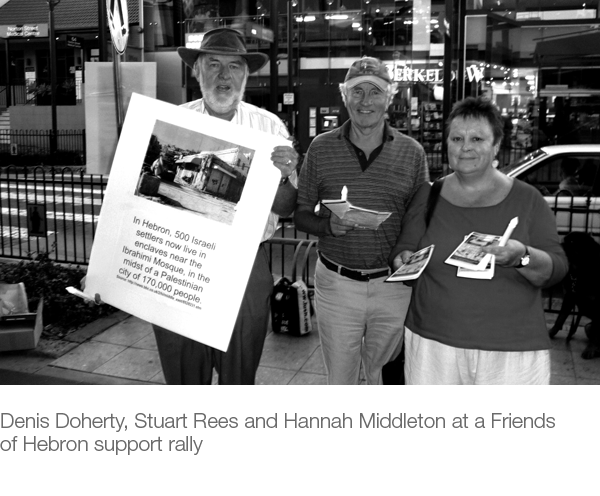 Together with SPF Executive Officer Hannah Middleton and her husband Denis Doherty I distributed leaflets supporting the rights of the people of Hebron to move freely and safely around their city, free from harassment by members of several small Jewish enclaves in the middle of the city.